We are committed to quality and dedicated towards constant improvement of products and services. As a company certified according to the world-class standards for Quality Management, IT Service Management and Information Security Management, we follow requirements and guidelines set forth to ensure that we consistently produce and maintain our products and services secure, reliable and of best quality in order to continually meet, and even go beyond our customers’ needs and expectations. 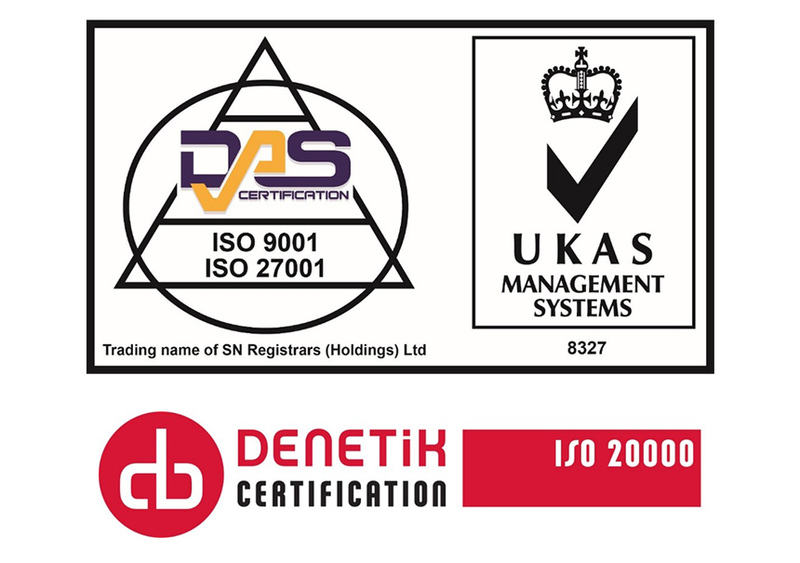 Becoming an ISO certified company means that we have dedicated ourselves to upholding world-class specifications for every product, service and system that we produce, ensuring quality, safety and efficiency. Upon completion of an extensive systems evaluation, Nextsense is proud to be quality certified by the International Organization for Standardization (ISO). With this prestigious certification, Nextsense demonstrate an ability to consistently provide products and services that meet customer and any applicable regulatory and statutory requirements, and also endeavor to increase customer satisfaction through effective quality management systems application. Our clients can be assured and confident to work with a company providing quality in services that have been internationally recognized. This certification represents our commitment to set up strategic alliances with clients and partners, always seeking win-win relationships to benefit all stakeholders and developments in the IT sector. ISO/IEC 20000 standard promotes the adoption of an integrated process approach for effectively deliver managed services to meet the business and customer requirements with use of ITIL (Information Technology Infrastructure Library) best practice for IT Service Management. Nextsense has successfully implemented an effective ISO 20000 certified service management system that consistently deliver higher levels of customer service and customer satisfaction. This certification helped us to improve and streamline IT processes, increase productivity and provide a controlled, consistent high-quality delivery of services internally and externally for end-users. This certification highlights our unrelenting commitment to providing our clients with excellent service – as we continue improving service standards through consistent, systematic and effective efforts. After the independent, external assessments, Nextsense has successfully achieved certification for Information Security Management System (ISMS). Earning this prestigious accreditation make sure that information security controls and other forms of risk treatment are in place to prevent and defend against potential data and system vulnerabilities. It also ensures that the information security controls continue to meet security needs on an ongoing basis. These certifications are one more step along our long-term commitment to providing the highest level of transparency and assurance about the quality of our products and services.